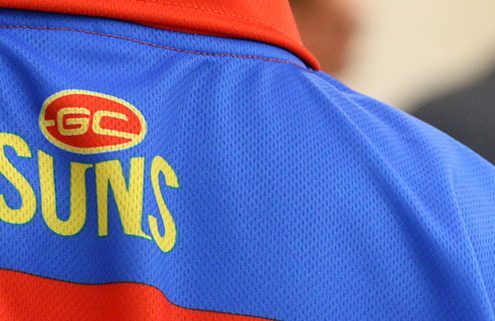 Here at Hot Tomato, we believe the Gold Coast Suns are an integral part of our community. Over the last eight years our Club and our players have committed to more than 40,000 community volunteering hours, and contributed almost $40 million to our economy. They’ve got our backs, and we’ve got theirs – let’s cheer them on whether they’re playing home or away. All the games info you need is on this page, plus their latest news and announcements. Go SUNS! GC SUNS secure their very own women's team for 2020! http://www.mygc.com.au/wp-content/uploads/2017/02/Gold-Coast-Suns-player-uniform.jpg 321 845 Shanee Dobeson http://www.mygc.com.au/wp-content/uploads/2016/04/mygc-logo.png Shanee Dobeson2017-09-27 20:45:312019-04-12 10:55:21GC SUNS secure their very own women's team for 2020!